'Nicki and Meek' is trending again after @NICKIMINAJ shared the above photo of her and fellow rapper Meek Mill on her instagram page a few minutes ago. Last night, she posted a different one, see below, and that one trended too. Many are reading this to mean that she's confirming that the two are in a relationship. Rapper Meek Mill is the first known person she's dating since she broke up with her longtime boyfriend, Safaree Samuels. Some have reported that Drake has said he's waiting his turn. 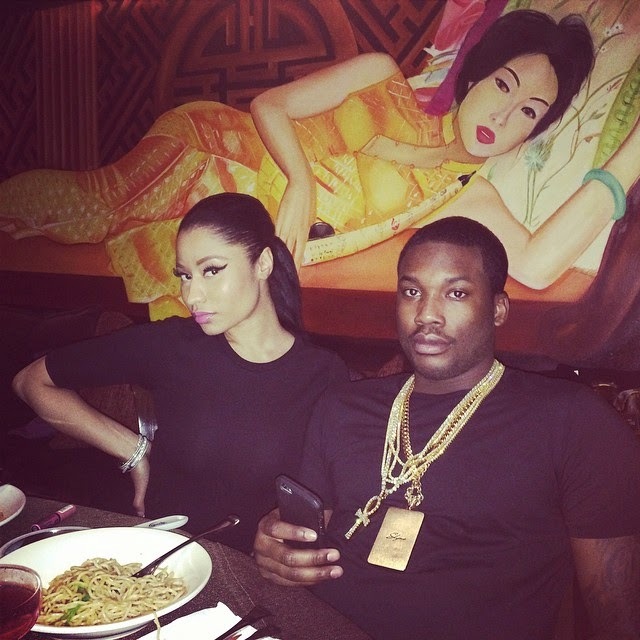 Though Meek Mill is in the industry and well known, he's not as well liked as Drake to be Nicki's man. On Twitter, there are many against the relationship but they have their fans. Nicki & meek ain't no damn power couple. Thats rebound whoring. Rebound jawns short term. Hating on nicki & meek isn't going to change her mind nor is going to get you laid. ✋😂 so pls chill. I expect a Nicki & Meek tour.